When most people think of Belize, they immediately imagine palm trees, sunny skies and gorgeous beaches. While that is certainly an apt and idyllic description of the country, Belize is actually made up of six interesting and unique districts. Learn more about each and plan to add a trip to your next getaway to Belize. 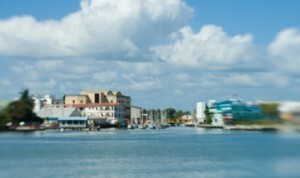 Home to the largest city in Belize, the district of Belize is the hub of shopping, travel and politics in the country. There is a good chance that you'll at least pass through this district if you fly into the international airport when you arrive in Belize City. As the only landlocked district in the country of Belize, you might be tempted to skip Cayo. However, that would absolutely be a mistake. Cayo is home to attractions like the bustling city of San Ignacio as well as the capital of Belize, Belmopan. Cayo boasts the impressive Belize Zoo, the ancient Mayan site of Tikal and an enormous collection of plants and flowers in the Belize Botanic Gardens. The northernmost district of Belize, Corozal is a calmer, scenic destination in the country. This is off the beaten track, which only increases its appeal to travelers who want to see the unexplored culture of Belize. Corozal boasts a number of smaller towns and villages, and it is just eight miles from the Mexican border. South of Belize District, Stann Creek offers a stunning coastline and access to the islands just off the coast and closer to Honduras. Top attractions in this Eco-friendly paradise include villages of the Garifuna people that live along the Sittee River, a thriving banana industry and countless caves worth exploring. Toledo is the least-visited of all six districts in Belize. However, that certainly doesn't mean it doesn't have a lot for the curious traveler. While in Toledo, you could visit the ancient Mayan ruins of Lubaantun, swim through the underground Blue Cave with the help of a headlamp and a local guide or explore the breathtaking waterfalls around San Antonio. Sharing a border with both Guatemala and Mexico, Orange Walk is one of the most diverse and multicultural destinations in Belize. From the main city of Orange Walk Town to the ubiquitous jungle tours available in the area, Orange Walk is a wonderful place to spend the day, and it is just an hour away, by car, from the much larger urban core of Belize City. Toledo, Stann Creek, Belize, Orange Walk, Corozal and Cayo are the six Belize districts that make up the country. Each offers something unique and special to travelers. Click here to learn more about planning your next trip to Belize and including all six into your itinerary.